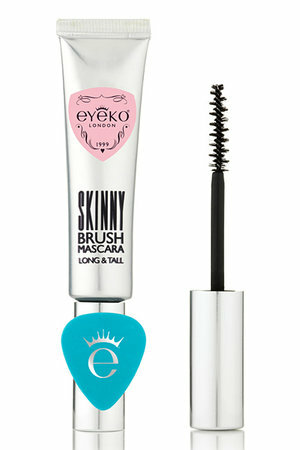 I really, REALLY wanted to like the Eyeko Skinny Brush Mascara. I loved the packaging and its squeezable tube. It gives me the similar satisfaction of getting every last bit of toothpaste out. The product got great reviews on Sephora (4.2 out of 5). I even tried it on at Sephora, approved of the dramatic difference I saw, and bought it on the spot! So why am I no longer a fan? a flawless finish that doesn’t smudge, crumble, or flake. Well, I did see an instant SOMETHING when I tested it at Sephora. What I didn’t realize was how wet this mascara was, and how much of it gets between the bristles of the brush. That means you get a lot of product on your eyelashes in CLUMPS. The mascara is very wet. It comes with an eyelash shield that you can place between your lashes and your eyelid when you brush the mascara on. It comes in handy. But then you have to let your mascara dry thoroughly before you open your eyes all the way. My lashes would leave marks on my eyelids if they were still wet. Lashes with Eyeko Mascara: Very thick and clumpy! My verdict: If you want dramatic “oomph” to your lashes and are willing to comb out all of the clumps, then go for this mascara. I just don’t have the patience for it. 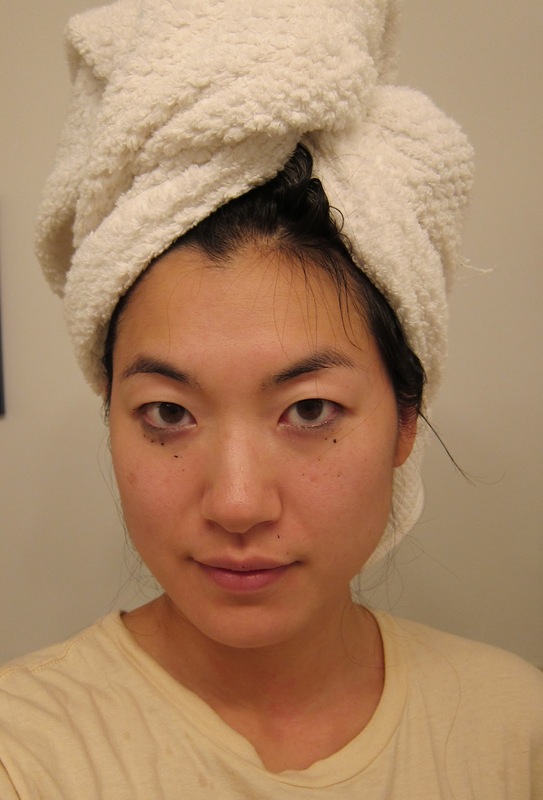 I will say that I never dealt with any smudges from the mascara throughout the day. The waxy product stayed put and never left any residue around my eyes. That being said (or written), the mascara is pretty stubborn when it comes to washing off. You really need to massage the mascara off with your fingers while washing your face and/or take some time to rub off the remnants with eye makeup remover. The usual look ever after an eye makeup remover session. The stuff gets everywhere! I admit that you get an intense look from the mascara. And most people have way more lashes than I do. So you will most likely get Kim Kardashian’s spider leg lashes look with the mascara. I say, “Don’t do it!” Kimmy says, “Go get it at Sephora for $19″. Your choice. Written by: Erica Cho on September 7, 2012.